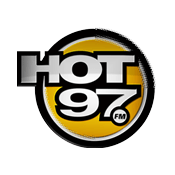 WQHT or Hot 97 FM is an hip-hop and R&B station broadcasting from New York City, USA. WQHT is one of the best radio stations in the World to listen to the best hip-hop and R&B jams. The station prides itself on playing the new hits first, dedicating a whole segment called “hear it here first”. Apart from the best music, WQHT also airs exclusive interviews and industry leading live events. DJ Funkmaster Flex, the face of the station, often invite other personalities to the station.